Gary Bennett and David Paris of JahRoc Furniture have collaborated with leading Australian Artists producing exhibitions of furniture and paintings that relate to a particular place, including the Margaret River Region, Abrolhos Islands, West Kimberley Region. The first collaborative exhibition was the Silhouette Exhibition – furniture by Gary Bennett and David Paris, Paintings by Shaun Atkinson, Poem/Verse by John Kinsella. Gary had not long moved to Gnarabup, Margaret River overlooking the ocean, and it was the silhouette of the undulating sand dune horizon line where the name, lines and shapes were born. This project was in itself was a partnership between Rio Tinto, Form: Contemporary Craft and Design, in the Designing Futures initiative. “Out of adversity comes strength. In the southwestern corner of Western Australia, this truth applies equally to a log lying on the forest floor and the industries that have traditionally relied on that timber for a living. The thick jarrah log that Jah Roc furniture designer Gary Bennett found at Boyup Brook had lain there for a decade, toppled from its former glory as the trunk of a giant tree. Perhaps three hundred years old when it was felled, nature’s ravages had hardened and darkened its rugged trunk. Insects and animals had invaded its inner sinews as it lay on the forest floor…..” words by Victoria Laurie, Perth based feature writer for The Australian. Read more in the catalogue. “Project Abrolhos” When Larry and I first discussed the idea of collaborating for an exhibition with the Abrolhos as the basis for inspiration, I was immediately excited at the thought of spending some time at such a unique part of Western Australia. The idea of collaborating with an artist such as Larry Mitchell was particularly appealing. Larry has a deep understanding of the region and I thought it would be fun to see the outcome of our individual interpretations in our respective mediums. I have been coming to the Abrolhos Islands for nearly 20 years, and before that went to school with the sons of Abrolhos fishermen, and later taught art to their sons. It is difficult now to think of a time when this rough chain of coral islands have not been part of my make up. 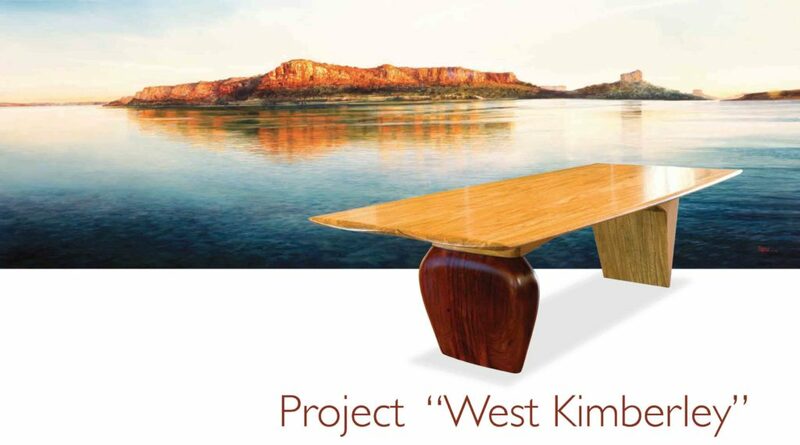 “Project West Kimberley” once again brings together artists Larry Mitchell, Gary Bennett and David Paris this time with a unique study of the West Kimberly region. Since travelling through this spectacular strip of Western Australian coastline on the boutique adventure cruise ship the “True North” Mitchell, Bennett and Paris have expressed their experiences through their respective genres.The result is an eclectic mix of large scale paintings and sculptural furniture designs. Enjoy! Crocodiles, gorges, ancient landscapes, sparkling seascapes, cool clear freshwater, saltwater, 20,000 year old art, texture, vivid colour, fish, oysters, birds, luxury boat, helicopter… WOW!! “The initial impact of the West Kimberley is so visually and spiritually overwhelming that, like Gary, I had to let the experience simmer for awhile before I was comfortable enough to tackle it. “Always offshore” is JahRoc’s latest collaborative project where Gary Bennett, David Paris and Australian surfing and shaping legend Jim Banks have decided to pool their extensive skills to create a collection of fine wooden surfboards. By combining Jim Banks 30+ years of surfboard design and shaping skills with Gary and Dave’s 30+ years of designing and creating furniture masterpieces crafted from fine Australian timbers, the trio believe they can create some of the finest wooden surfboards the world has seen. Some will be artistic wall pieces made from solid timber and others will be artistic wall pieces that can also be surfed on using the age old torsion box construction techniques that have been used in aircraft, surfboards, boats and furniture for centuries. Wooden surfboards are really where it all began and there are certainly lots of replica’s being made these days. Jim and Gary wanted to do things a little differently and apply the contemporary lines of Jim’s surfboard designs to create some collectable art pieces made from some of our beautiful locally grown timbers in Australia. Jim Banks still takes a very hands on approach to his surfboard shaping and is constantly testing and improving his designs in waves all over the world. From Indo perfection to the raw power of Margaret River Jim is constantly putting his designs to the test. Gary and Dave are excited by the opportunity to use their woodworking skills and contemporary techniques of fine timber construction and apply to making wooden surfboards in their Margaret River Studio workshop. 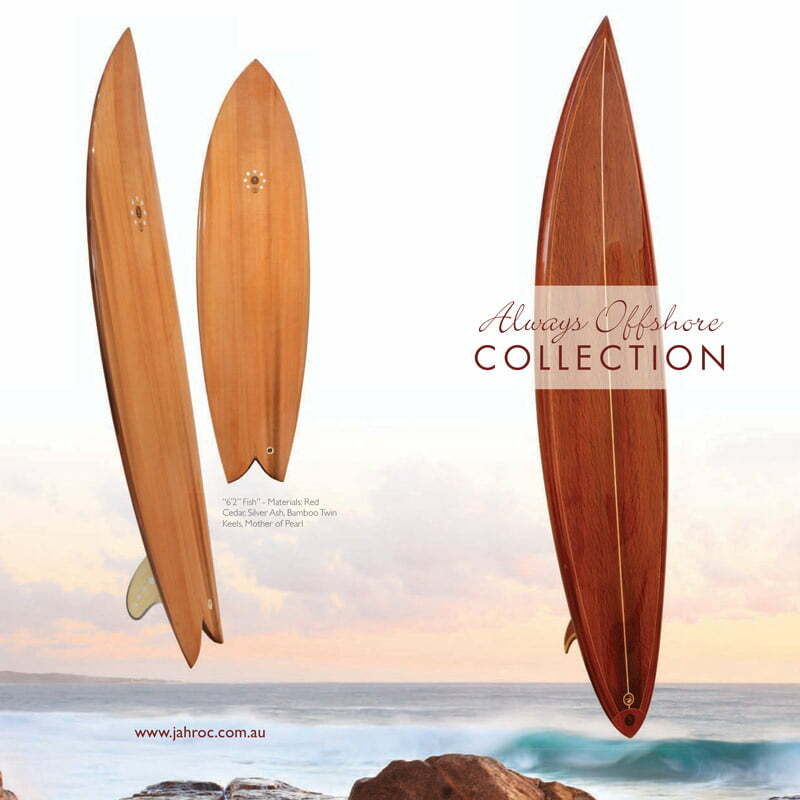 They are fast becoming well known Wooden Surfboard Makers in Margaret River, South West of Perth WA. Surfboards are such beautiful objects. All three artists are passionate surfers so the idea of sculpting a masterpiece that can be taken down from the wall, waxed up, then taken down to the beach for a surf and still be durable enough to be hung back up on the wall is immensely appealing. Why “Always Offshore”? Well when it’s offshore at the beach the boys can go for a surf and get that buzz that surfers get. When the surf’s not on they can go to their workshop and get that buzz that woodworkers get when creating, so you see for these 3 it really is “always offshore”!! 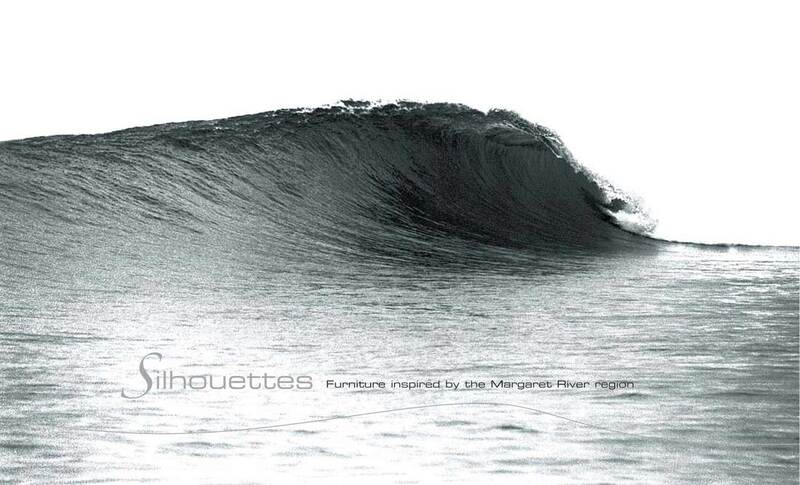 The collection of Wooden Surfboards has also spurred on a collection of solid timber surfboard inspired furniture designs. Enjoy!